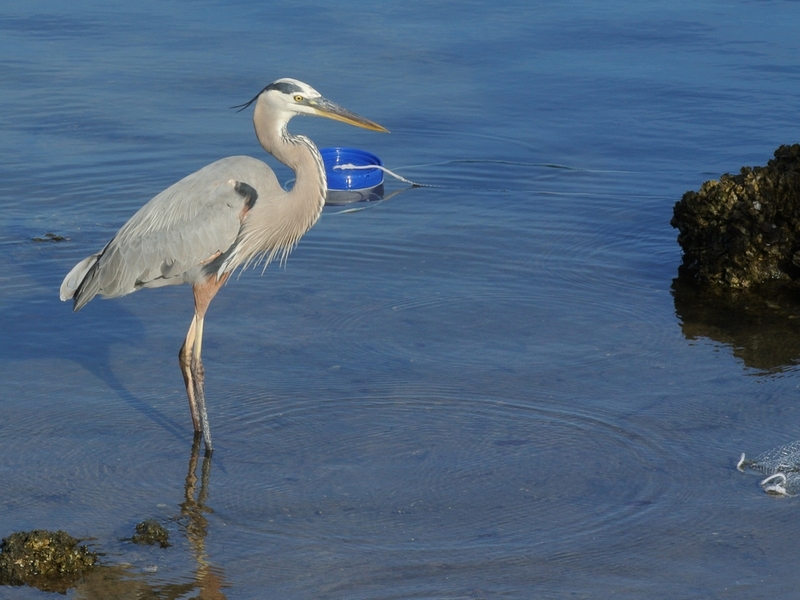 I often see herons and other birds hanging around the launch ramp and fishing piers at Ponce De Leon park. They are moochers and are looking for leftover bait at the end of the day. Quite often they are fed by the returning fishermen. This morning, I saw an instance of sportsmanlike reciprocity that astonished me. I walked along the beach watching the pelicans feeding offshore, a Yellow Crowned Night Heron and some sort of peep in the shallows. I came to a Great Blue Heron who was also walking the shallows feeding as he went. He came to a fisherman who was working from shore. The fisherman had a cast net which he had used to catch bait and had left it in the shallow water. The heron stopped and looked it over for a while, gradually getting closer. When he got very close, he suddenly stabbed down and came up with a fish that must have escaped the net. 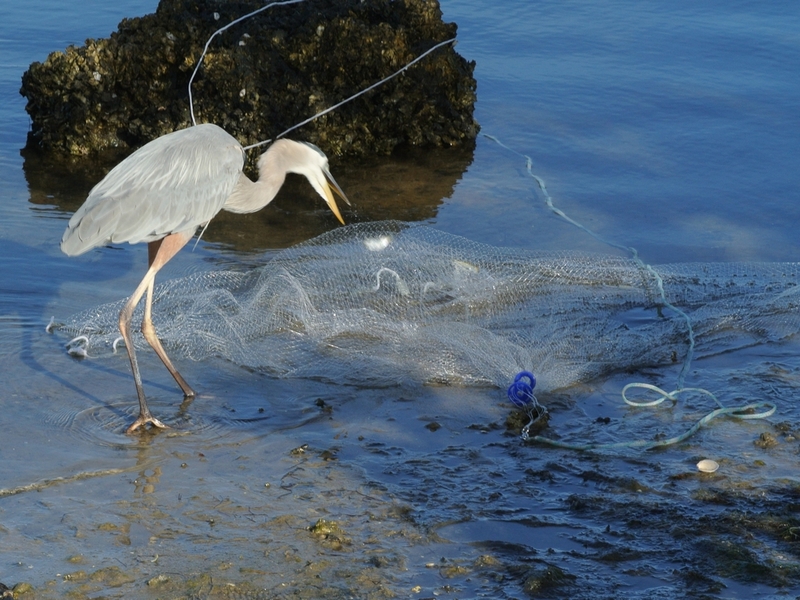 Then, he threw it back into the net for the fisherman and continued his own feeding. It was probably the most unusual human/animal interaction I have ever seen. Here are the shots. 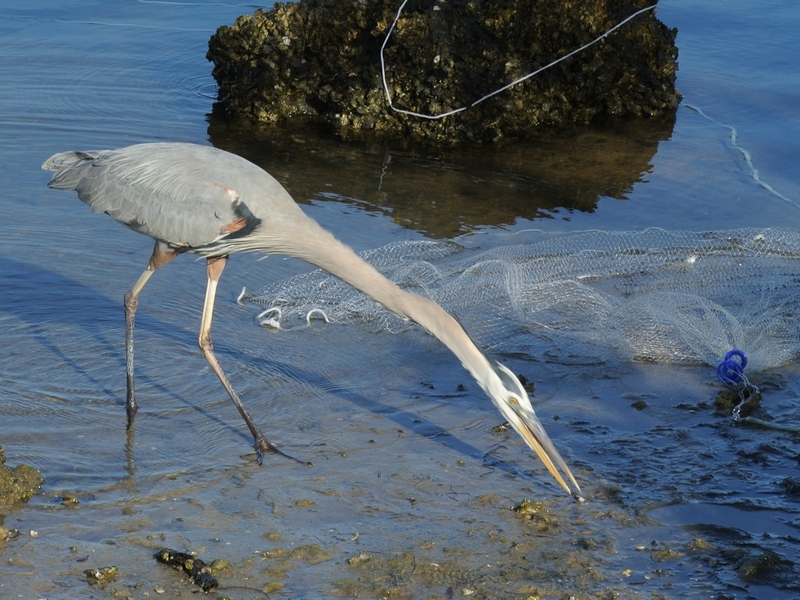 First observing the net and catching the escaped fish. Then, tossing the fish into the net and then catching one for himself. As usual, just click on the image to see a larger version. The exif is available if you can read it. It’s interesting that there is subject movement even at 1/800th of a second around the herons head and beak. 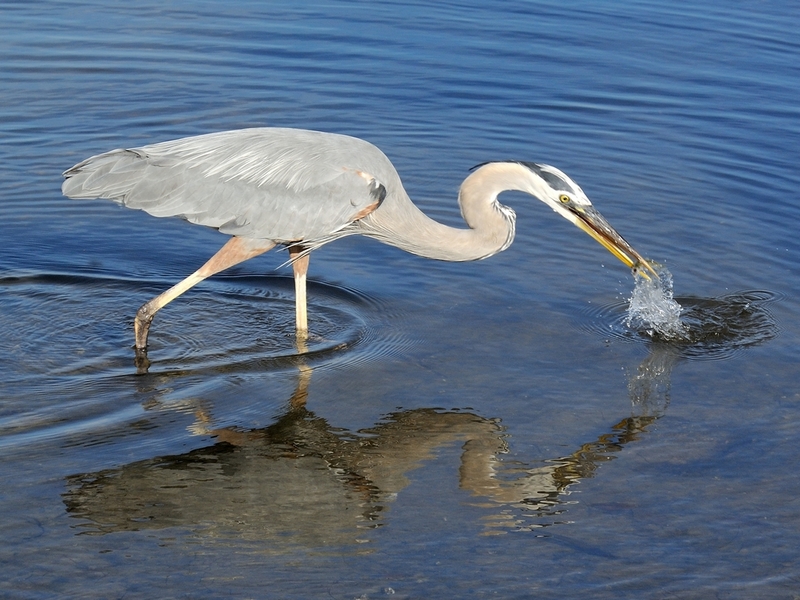 This entry was posted in animal behavior, Bird, Park - Ponce de Leon and tagged Great Blue Heron, Nikkor 30-110mm, Nikon 1, Nikon V1, Ponce de Leon Park. Bookmark the permalink. 1 Response to Sportsmanlike conduct. Great catch! Nice detail with the fish.